January is typically a time when people vow to commit or re-commit to a fitness plan. Therefore, we thought it could be a good time to review the P90X3 and Barre Amped Boot Camp workout plans. 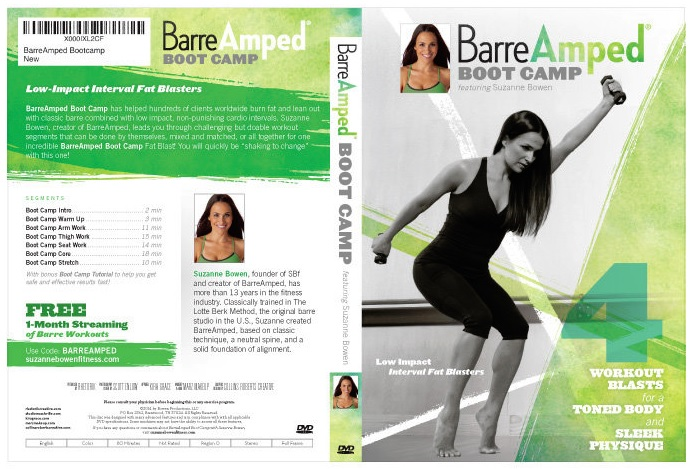 I completed the P90x3 series (my first DVD workout experience) this fall and am adding Barre Amped Boot Camp to my routine this winter. For the past decade running has been my primary fitness activity. It allowed me to eat/drink as I wanted for the least amount of time spent. However, this fall, I decided to try the P90X3 workout with the hope of gaining muscle definition and getting an overall better, more comprehensive workout. Disclaimer: This is not a workout for absolute beginners. The program runs for 13 weeks and is comprised of three blocks and 16 different 30-minute workouts. These range from upper/lower strength training to agility, yoga and more. Working from home and with a short workout time, it wasn’t as difficult as I’d imagined to get into the routine of working out 6-7 days a week. In most every workout, I found things I could do well and things that were challenging. It was easy to modify the difficult exercises. My weak spots were as expected: upper body and the ability to do anything “plyo”. But happily, after completing the program I have seen a discernible difference in my upper arm shape/strength and feel that both my balance and flexibility have increased. My thighs and bum (while sore) haven’t had quite as dramatic results. After speaking with friends working the program, they suggested increasing my weights on lower body exercises and I’ve started with that this week. The Barre Amped workout is a new addition to my routine for 2017 and to date I’ve run through it one time. The DVD consists of six sections along with an introduction: Warm-up, Arm Work, Thigh Work, Seat Work, Core and Stretch. The sections vary in length from 2 minutes for the warm-up to 18 for the core workout. This DVD would be well suited to complementing a short, moderate intensity cardio day workout. The DVD tends to be a bit light in cardio and the components are short enough that adding in a section or two is still manageable from a time perspective. For 2017, I hope to maintain 4-5 day a week workouts; continuing on a rotating schedule of the P90X3 exercises, getting back in to some running and adding the barre program for a bit more flexibility/toning. Let’s see if this year can be the year I attain my aspiration bum! Kerri Walsh Jennings My Aspiration Bum! Later this week we’ll look at workout outfits! Stay tuned.